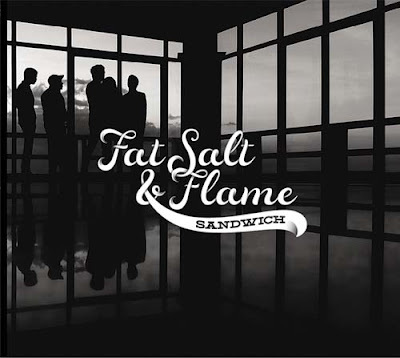 Fat, Salt and Flame - that may sound like food but its the title of the new album by one of my favorite bands, Sandwich. 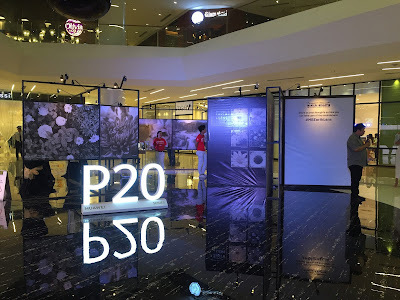 Released by PolyEast Records, their new record for their 15th Anniversary was launched last April 12 at the Centris Walk, Eton Centris in Quezon City. 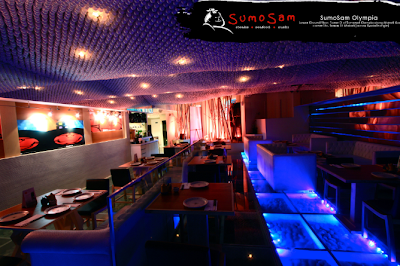 Sumo Sam Olympia Offers Big Meals - Eat All You Can Style! I have always believed that "Big is Beautiful". And with Sumo Sam's 25th store at the Lower Ground Floor of Somerset Olympia along Makati Avenue, this is their biggest location to date - about 300 sq. meters of dining space. And do you wanna know why it is beautiful? 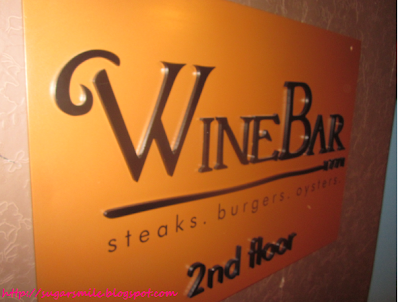 This specific restaurant has comfy sofas and pillows, making it the ideal place to hang out after a tiring day over food, wine, cocktails and even an Eat-All-You-Can Lunch or Dinner. 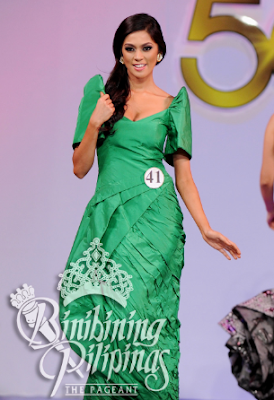 Last night, the 50th Binibining Pilipinas was crowned at the Smart Araneta Coliseum. Fifty beautiful candidates competed for this prestigious title after various training sessions, outreach activities, TV guestings and the like. I am proud to be part of this historical event, as Ariella Arida, was chosen to be this year's representative to the Miss Universe Pageant. 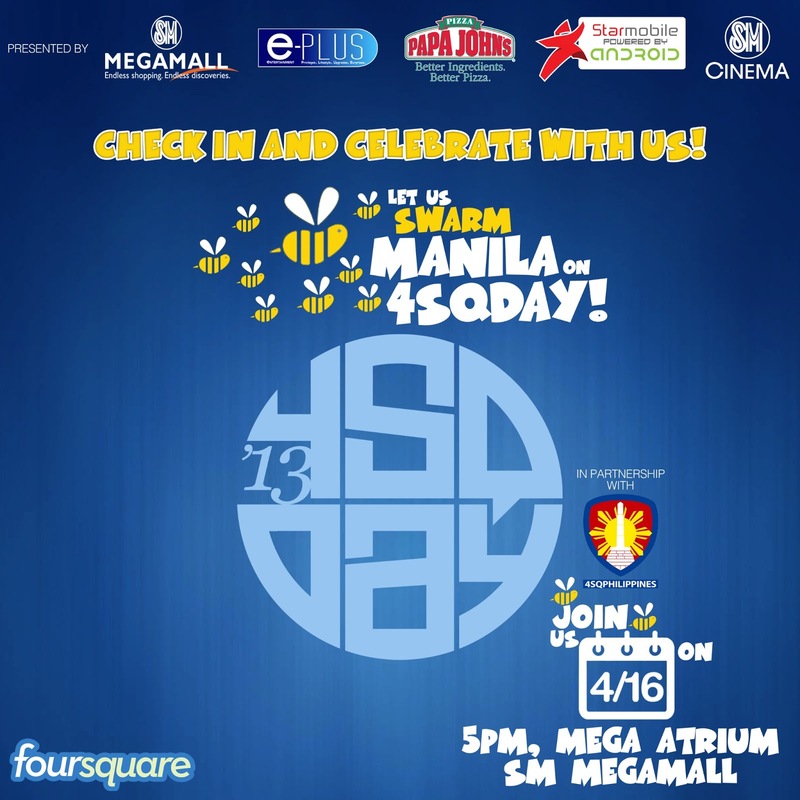 Check In and Celebrate the Manila Foursquare Day! For a social media savvy person, checking in and sending tips via Foursquare is a MUST. It keeps your friends updated, you'll know what to order at a specific restaurant or the latest movies to watch. With the use of your smartphone, its just so easy to get these information through Foursquare, and because of that, they are coming up with a special holiday for the much aficionados. 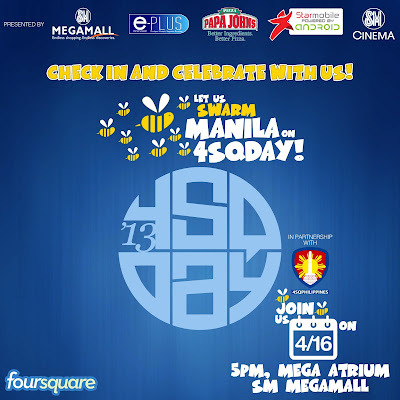 The much anticipated #4SqDay on April 16! Specific wines, special food. Selecting the best wine for your meal is a must. I remember one Gilmore Girls episode when Chef Sookie St. James was given an okay review for her famous risotto. And bear in mind that the risotto was her specialty. She was racking her brain for what could have been wrong, and finally, she found out that the food reviewer was given a wine that completely sets her risotto's taste. Good thing that at the Wine Bar at the 1771 El Pueblo, Sookie wouldn't have a problem serving her famous dish, because this restaurant does not only caters to foodies and wine lovers, but also to those who aim to understand the art of wine pairing. Samsung Digital Appliances continue to evolve with products that are made from the heart. Launching their newest innovation, the Love@Home offers an array of technologically advanced appliances designed to meet the demands of modern families while affording them means to spend more quality time together. Over the years, I have noticed that so much have been developed for us to be able to feel convenience in our residence and Samsung makes it even cozier and filled with love. 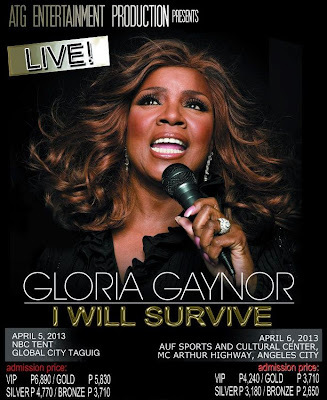 A videoke session with friends is incomplete without singing I Will Survive. Its my barkada’s favorite breakup song, and I’m pretty sure that my beki friends all love this too. Wanna know something exciting? 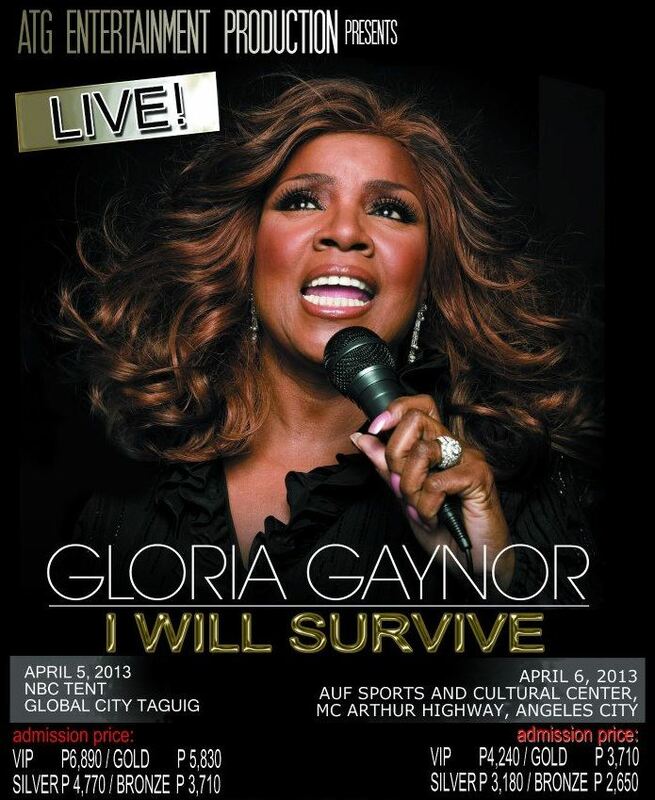 Gloria Gaynor, American singer and the Queen of disco and soul, will visit her Filipino fans as ATG Entertainment Productions presents “GLORIA GAYNOR: I Will Survive” on April 5, 2013 at the NBC Tent, Global City Taguig and on April 6, 2013 at the AUF Sports and Cultural, McArthur Highway, Angeles City.